To see a complete preview of day four prelims click here. Heading into day four of the Toronto 2015 Pan American Games, both the Canadians and the Americans have equal opportunity to take control here as the final day of competition approaches. Starting with the 100m backstroke, that’s Canada’s chance to really make a move in terms of medals. Both Dominique Bouchard and Hilary Caldwell are the favourites. Caldwell won the 200m backstroke early in the meet closely followed by Bouchard. Another 1-2 finish for the pair is not out of the question. The men’s 100m backstroke will showcase Olympic silver medallist Nick Thoman. 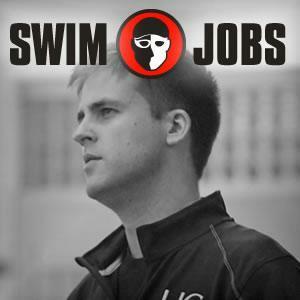 Russell Wood of Canada has his eye on Thoman and holds a personal best under 54-seconds. If Thoman is fully rested he will be dangerous today. Emily Overholt will be looking to bounce back from last night’s DQ in the 400m freestyle prelims this morning. She’s been incredible all week. Despite the DQ she was a 4:35 in the 400 IM yesterday, and the infraction didn’t help her swim it all, so it just goes to show what type of shape she’s in. In the men’s version of the event, Ryan Cochrane will make his individual debut at these games. He swam on the 4x200m freestyle relay earlier and looked fairly solid. There’s tons of great talent overall in the women’s 100m breaststroke. American Katie Meili, Jamaican Alia Atkinson, and Canadian Rachel Nicol just to name a few. The men’s 100m breaststroke will have Brazilian Felipe Lima showcased. He’s miles ahead of the competition and can without a doubt throw down a sub one-minute time here this morning. Natalie Coughlin and Chantal Van Landeghem are back at it once again, this time they’ll be facing off in the 50m freestyle. They won’t be alone as Bahamian swimmer Arianna Vanderpool-Wallace is the top seed and can bring undeniable speed to the table. Bruno Fratus of Brazil looks to be the man to beat in the men’s 50m freestyle. There are plenty of top competitors in that event that given the opportunity could rise up and challenge him this morning. American Olivia Smoliga topped a tough field of women to break the Pan American Games record in the 100m backstroke and take the number one seed heading into finals. An event originally though to be just between the two Canadians, Smoliga is now in the picture for gold tonight. She was a 1:00.35, starting her race very fast. Canadian Dominique Bouchard was in her heat, and managed to come back strong on the last 50 to almost catch Smoliga, but her efforts weren’t enough and she finished second to her in 1:00.44. The third seed went to Etiene Medeiros of Brazil. 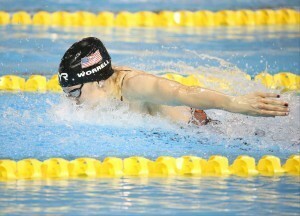 She won the first heat of the 100m backstroke in a surprisingly fast 1:00.74. That time was very close to her personal best. Hilary Caldwell of Canada took the fifth seed overall after a 1:00.97 performance to win heat two. The heats of the 100m backstroke were rather slow this morning, and Brazilian Guilherme Guido took advantage of that and grabbed the top spot with a 54.05. 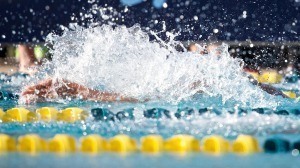 Guido won the second head of the 100m backstroke which included American Eugene Godsoe and Omar Pinzon. Godsoe was second in that heat with a time of 54.38 which currently puts him in third. One ahead of Gosdoe is fellow American Nick Thoman who was just slightly faster to secure one of the two middle lanes. Thoman rocked a 54.35 this morning to win heat number three ahead of Canadian Markus Thormeyer. Russell Wood of Canada is seeded fourth with a 54.55. Amazingly the top three seeds in the women’s 400m freestyle came from heat number three led by American Kiera Janzen. Janzen looked to be the best out of everyone this morning, putting up a 4:11.82 to pave the way for the final. The heats as a whole were relatively slow for this event. Joanna Evans was the fastest in heat number one with a 4:15.51. With that time she was able to beat young Canadian Emily Overholt who touched in for 4:18.21. Overholt just squeezed into the final as the eighth seed. She had a roller coaster of a day yesterday when she was disqualified after touching first in the women’s 400m IM. She’s in great shape as was evident by the swim, so she’s by no means out of it tonight. Gillian Ryan isn’t out of things either. She’s just the fifth seed after prelims, but she took the first half of her race out so easy that it looks as though there’s plenty more in the tank. Her back-half was so strong that she will likely be in the mix tonight. Andreina Pinto of Venezuela and Manuelle Lyrio of Brazil are in a great position to medal. Pinto was smooth this morning, and Lyrio managed a 4:15-mid to stay in the hunt for bronze. Ryan Cochrane looked as smooth as a hot knife cutting through room temperature butter this morning in the 400m freestyle, easily rocketing to a 3:50.58 performance. Cochrane came back strong with on the last 50 with a 27.85, showcasing the true potential that he has for tonight. Leonardo De Deus of Brazil will be right next to Cochrane in the final after winning heat two in a solid 3:51.40. De Deus managed to get the better of Venezuelan swimmer Cristian Quintero who clocked in at 3:52.63. Michael Klueh and Ryan Feeley got some great racing experience, swimming neck-and-neck for a good portion of their heat. Both will be very mindful of their touch tonight as Klueh managed to out-touch Feeley 3:51.76 to 3:51.79 this morning in order to grab the third seed. Both looked as though they have more in the tank for tonight. Jeremy Bagshaw of Canada will be joining them in the final after finishing second to Cochrane ion heat three with a time of 3:51.12. Katie Meili silenced the crowd when she touched the wall and the clock read 1:05.64. Not only is that a new Pan American Games record by over a second, but it’s the second fastest performance in the event this season, and only second to current world record holder Ruta Meilutyte. The time was a huge drop for Meili, and it puts her way ahead of her competition and does everything but lock her in for gold tonight. She’s going to be the favourite by a long shot now and virtually unstoppable if she can repeat that performance. Rachel Nicol of Canada was the closest swimmer this morning to Meili. She edged out Jamaican record holder Alia Atkinson with a 1:07.10 to win heat two. Atkinson was just behind her sporting a 1:07.46 at the touch. 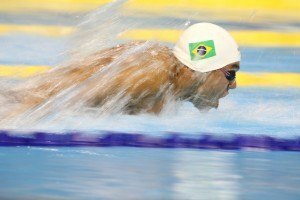 Felipe Lima managed to post the only sub one-minute 100m breaststroke of the morning, breaking the Pan American Games record of 1:00.24 and posting a 59.84. Lima is the only man to ever swim under the one-minute mark in the 100m breaststroke at the Pan American Games and had a huge lead this morning. Da silva won his heat by a wide margin, however a tight race was had in heat number three. Jorge Murillo, who took the top seed in the mens 200m breaststroke during prelims earlier in the meet, was a 1:00.53. In doing so he out-touched Felipe Lima of Brazil who went into this race as the top seed. Lima was a 1:00.57 this morning to take the third seed overall. He is just one of two swimmers at this meet who has been under 1:00 in the 100 breast. Arianna Vanderpool-Wallace dominated the women’s splash-and-dash this morning, breaking the Pan American Games record with a 24.31. Vanderpool-Wallace wasn’t the only one to break the record however, Etiene Medeiros of Brazil won a tight race with Natalie Coughlin in heat one to post a 24.75. That broke the original record set back in 2011, and stood until Vanderpool-Wallace’s performance. Madison Kennedy swam against Vanderpool-Wallace and managed to post a 24.75, identical to what Medeiros swam. She’s in a great position to medal tonight as one of the few swimmers under 25-seconds this morning. Graciele Herrman, Chantal Van Landeghem, Natalie Coughlin, and Michelle Williams will also be fighting for a podium spot tonight. Josh Schneider was the only man able to dip under 22-seconds this morning, doing so with a time of 21.97. He wasn’t the only American who showed up big; Olympic silver medallist in the 50m freestyle, Cullen Jones, dropped a big 22.12 to take the second seed. Frederico Grabich, who has already set new Argentinian records in the 100 and 200m freestyles this week, was a 22.25 to take the third seed. 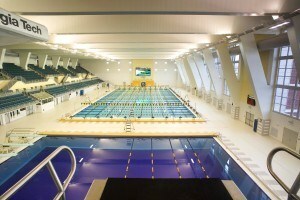 The final will have tons of talent including Bruno Fratus, George Bovell and Alex Loginov. There was a tie for eighth place which will result in a swim-off to see who will compete in the championship final. Dylan Carter and Erik Risolvato were both 22.48 this morning. Decent times for the M and W 100 back… Wonder what happened to Thiago with the scratch? Nice negative split 400 for Gillian Ryan – out in 2:09, back in 2:06. Good god, Katie Meili! 1:05.64 is incredible! That just completely destroyed the old Pan Am record, too. 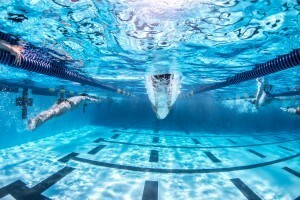 You only see lane 3 underwater on the start and I do think that woman did a double dolphin. you are most correct – i didnt notice the cap which is black, Meili is wearing white – whew!